Simon became President of WorldSkills on 10th October 2011, the day after the Closing Ceremony at WorldSkills London 2011. He was re-elected for a further four-year term in 2015 and steps down the day after the Closing Ceremony at WorldSkills Kazan 2019 on 28th August 2019. Previously Simon had been Chief Executive of UK Skills and WorldSkills London 2011 as well as being the UK’s Official Delegate to both WorldSkills International and WorldSkills Europe (on both of which he was also a Member of the Board). Prior to his involvement in UK Skills Simon worked in the Building Services Sector as Chairman of his family business (C J Bartley & Company Ltd) and he now works as an international skills consultant. 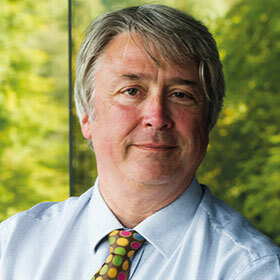 On leaving University Simon worked for John Mowlem plc for five years as a Civil Engineer. Simon was educated at Durham University, from where he graduated with a BSc in Engineering Science & Management and an MSc in Management Science. He is a Chartered Engineer, a Member of the Institution of Civil Engineers, a Fellow of City and Guild and a number of other Engineering Institutions. A Member of the UK Governments Skills Commission he is also on the Council of City & Guilds and a past Chair of the Confederation of British Industry’s Small and Medium Sized Enterprise Council. He is a part-time Professor at the Shanghai Publishing & Printing College and a Visiting Professor at a number of other Chinees Colleges. Simon has been the Chairman of a number of Charities, such as Providence Row – a charity for the homeless in London – and has been the Master of two City of London Livery Companies – the Worshipful Company of Feltmakers and the Worshipful Company of Lightmongers. In his spare time Simon enjoys sailing, skiing and diving as well as horse riding and keeping bees.